Port of Spain, Trinidad, March 28:Thunderous applause and loud cheers echoed throughout the Hyatt Regency Hotel in Port-of-Spain on Saturday (March 25) as Fyzabad Branch was announced the Branch of the Year for Fiscal 2015/2016, at the Bank’s annual Staff Recognition Award Ceremony. Port-of-Spain, Trinidad: March 24, 2017 – “We may not understand exactly what it is you go through, but in your own right, we have a fair understanding of what it takes and what it means to build a more successful society through inclusion and appreciation of diversity...."
Paramaribo, Suriname, February 9, 2017: Tenacity and making a positive difference – the mindset underpinning Republic Bank (Suriname) N.V.’s focus for its Power to Make a Difference programme, which was launched on February 7, at the Courtyard Paramaribo. 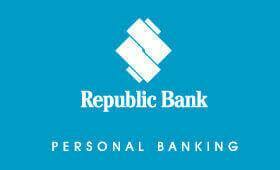 Port of Spain, Trinidad: January 26, 2017: Republic Financial Holdings Limited (RFHL) has recorded a profit attributable to shareholders of $329.7 million for the quarter ending December 31, 2016. This represents an increase of $23.3 million (7.6%) over the corresponding period in 2015. Port-of-Spain, Trinidad, January 25, 2017: The Amica House Children’s Home were the recipients of a $10,000 boost to assist in the care and provision of the children at the St. Augustine based- home. This was the announcement made by Republic Bank’s Managing Director, Nigel Baptiste, at the official opening of the UWI Campus Branch, St. Augustine on Saturday. ( January 21).